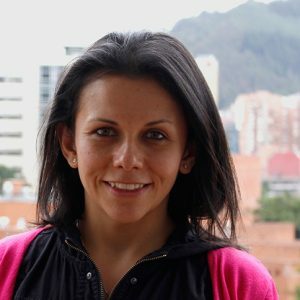 Monica Pinilla-Roncancio is a Physiotherapist with a Master’s degree in Economics from Universidad del Rosario. She has also a Master’s degree in Health Economics, Policy and Law from Erasmus University Rotterdam, Netherlands. She finished her PhD in Social Policy at the University of Birmingham, UK. From 2016 to 2018 she was as a Postdoctoral Researcher at Universidad de los Andes and currently is an Assistant Professor at the same university. She is the Co-director of Metrics and Policy at OPHI and has been working in OPHI since 2014. She coordinates the work in Latin America, East Asia and some countries in Africa and Middle East. Her main research interest are disability, multidimensional poverty, inequality and health economics.